Big meets Superman was apparently the one-line pitch for Shazam. 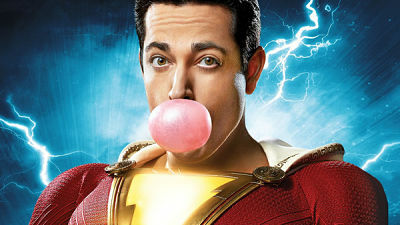 The film is about a teenage boy, Billy Batson, who becomes a powerful superhero when he says the word ‘Shazam’. So like Tom Hanks in Big, you have a young boy grappling with being in an adult body. But he also has to fight a supervillain and several dastardly CGI beasts who represent the 7 deadly sins.Shazam runs a tad too long. And the beasts are so unimaginative that it feels like an exhausted CGI artist created them. But the film delivers both laughs and emotions. This is a refreshingly goofy superhero movie. I’m going with three and a half stars.